"Juneau" redirects here. For other uses, see Juneau (disambiguation). 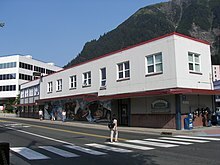 Downtown Juneau (58°18′07″N 134°25′11″W﻿ / ﻿58.30194°N 134.41972°W﻿ / 58.30194; -134.41972) is nestled at the base of Mount Juneau and across the channel from Douglas Island. As of the 2010 census, the City and Borough had a population of 31,276. 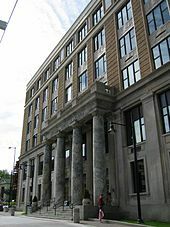 In 2014, the population estimate from the United States Census Bureau was 32,406, making it the second most populous city in Alaska after Anchorage. Fairbanks, however, is the state's second most populous metropolitan area, with roughly 100,000 residents. Juneau's daily population can increase by roughly 6,000 people from visiting cruise ships between the months of May and September. 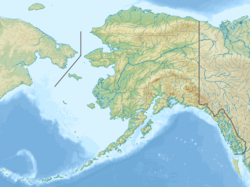 According to the United States Census Bureau, the borough has an area of 3,255 square miles (8,430 km2), making it the third-largest municipality in the United States by area (the largest is Yakutat City and Borough, Alaska). [dubious – discuss] 2,716.7 square miles (7,036 km2) of it is land and 538.3 square miles (1,394 km2) of it (16.54%) is water. 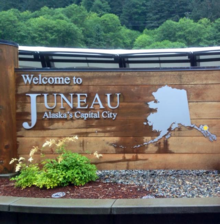 Central (downtown) Juneau is at 58°18′07″N 134°25′11″W﻿ / ﻿58.30194°N 134.41972°W﻿ / 58.30194; -134.41972. 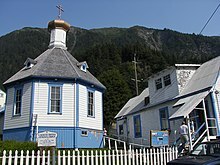 The City and Borough of Juneau includes Douglas Island, a tidal island to the west of mainland Juneau. Douglas Island can be reached via the Juneau-Douglas Bridge. 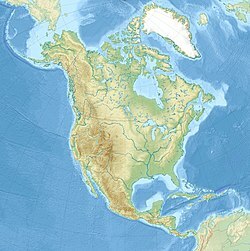 Wikivoyage has a travel guide for Juneau. 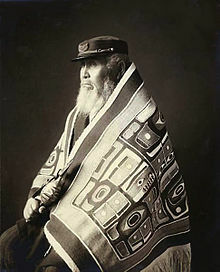 Wikisource has the text of the 1911 Encyclopædia Britannica article Juneau. This page was last edited on 18 April 2019, at 11:16 (UTC).